The developer tools for iOS 10, due later this year, will include CallKit, a framework that lets developers of VoIP (voice over Internet Protocol) applications make it easier for iPhone and iPad users to take calls sent from communication apps. 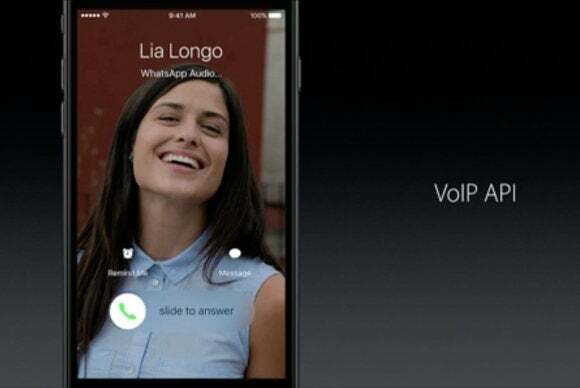 VoIP calls will look like “real” calls and even show up in your Phone app’s list of recent calls. One such app is Cisco Spark, which will support CallKit. An incoming Spark call will ring on the iPhone lock screen just like a cellular call and users will be able to tap on a contact in the address book to contact them over Spark. Siri will also be able to set up that call. Siri received a smorgasbord of new features across iOS, tvOS and the newly renamed macOS. 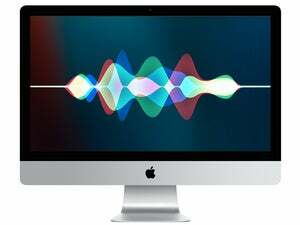 The biggest change is that with the launch of macOS Sierra in the fall, Siri will be available on the Mac. Users will be able to consult the virtual assistant to help with a variety of queries, including searching for images. Siri on the Mac will have robust natural language search as well as third-party integrations. 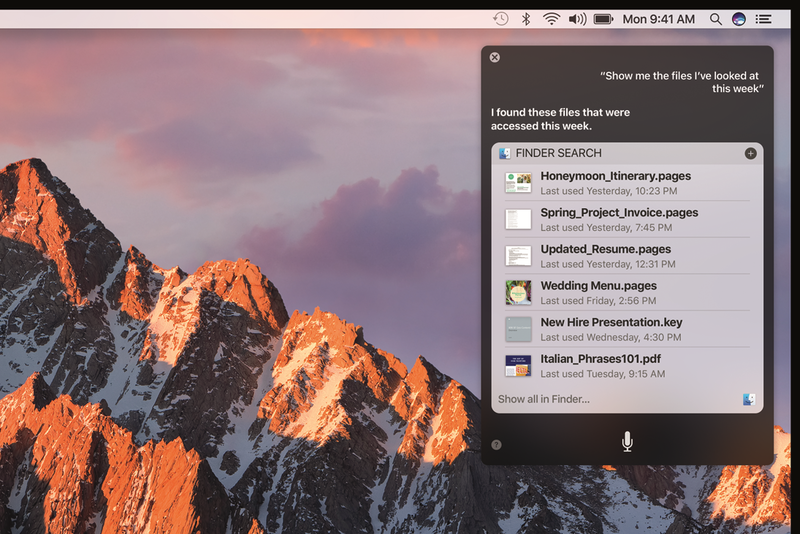 Siri has been updated to work with the desktop environment, letting users pin many query results into Sierra’s Notification Center sidebar. Users will also be able to drag images they search up using Siri into other apps, without having to first save them somewhere on a computer. It’s an easy way to quickly get images from the Internet into a presentation or document, though users may run afoul of copyright law if they do that. There will also be a SiriKit API that lets developers connect their apps to the virtual assistant, so that users can do things like send messages through apps including WeChat and request a ride from services like Lyft. In addition to Siri, macOS will get a slew of improvements aimed at increasing user productivity. First and foremost, people with iOS devices and Macs will have access to a unified clipboard, so that text and images copied on an iPhone can then be pasted on a nearby Mac. 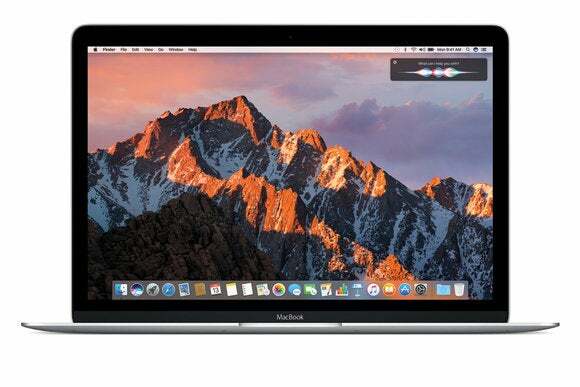 Apple will also be bringing support for tabbed windows to applications running on macOS Sierra. That means people who are used to having a dozen browser tabs all open in one window will soon be able to bring that habit to many other Mac apps, including Maps. To use Auto Unlock, you’d first have to unlock the Apple Watch by typing in a passcode, or optionally by unlocking the iPhone it’s paired to. Sierra will also come with Auto Unlock, which lets Apple Watch users automatically unlock their computers when they sit down in front of them. It will allow people to use strong passwords without having to type them out every time they go to unlock their computers. That may not be something businesses want to enable, however, since it means someone could unlock a computer if they have a properly authorized Apple Watch – no computer password required. Apple also unveiled watchOS 3, the next iteration of the software that powers its smartwatch. Its biggest improvement allows users to pick their favorite apps, which will be kept in memory and updated in the background. Those apps should then open drastically faster than apps under watchOS 2. 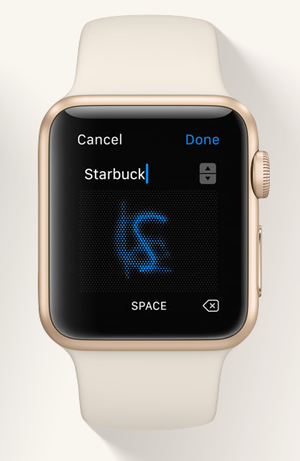 Scribble lets you jot down words a letter at a time. Users will also be able to write replies to messages using a “Scribble” feature that lets them scrawl out characters in English or Mandarin, in addition to the existing support for quick replies and voice input. That’s useful for people who are in a setting where they don’t want to pull out their phones, but who also don’t want to talk to their wrists. Swift Playgrounds is aimed primarily at iPad-toting programming students who are just getting started with building programs in Swift. They can walk through a guided tour of a development course to learn basic programming concepts. But the app also gives more experienced developers the ability to play around with the full iOS software development kit on their iPad, something that wasn’t possible before. Apple’s Swift Playgrounds is a free app for iOS 10, letting kids and adults learn Swift programming via friendly lessons and open playgrounds. It’s not going to suddenly turn an iPad into a machine that could build an entire publishable iPhone app, but it could provide some marginal benefits to developers who want to test bits of code away from the confines of their Mac. The app shows that Apple is interested in putting iOS development tools on the iPad, and may signal more things to come for the device in the future. These are just a handful of the announcements that came out Monday, which also included live collaboration inside Apple’s Notes app and support for Split View in Safari on iPad, so people can view two browser windows side by side.